There is far more sugar in our diets than there used to be, and this is having a massive impact on all aspects of our health. One of the issues that we see pretty quickly is the effect of sugar on dental health. Other issues like type 2 diabetes take longer to present themselves. The association between sugar and children’s behaviour has been the subject of much debate over the last few decades. Unfortunately, the sugar industry has had a voice in the debate on the health effects of sugar. This means the truth has not always come to the surface as quickly or clearly as it should have. The science shows that a hyperactive child eats more sugar than a non-hyperactive child. Children on a high sugar diet are four times more likely to get diagnosed with ADHD than children on a low sugar diet. There are a couple of key ways that sugar affects behaviour. The first is to do with the glycaemic index of sugary foods. Refined sugar (sucrose) breaks down very easily in the blood stream. Most people are aware of the high sugar content of some breakfast cereals or soft drinks, but there are other sugar sources that are not so obvious. Foods previously considered healthy, like fruit juice, contain high levels of sugar. Tomato ketchup has 2 teaspoons of sugar per squirt. “Fruit” yoghurts are very high in sugar. Then there are white flour products like white bread and pasta. These act pretty much the same way as sugar in the body and are broken down very quickly into the blood stream. Put some jam on your toast and the sugar content rises even further. High levels of sugar circulating in your blood cause damage to your nerves and your blood vessels, so your body wants to address high blood sugar as soon as it can. When your body realises your blood sugar level is high, it releases insulin, a hormone which helps move glucose in to the cells. The more sugar there is, the more insulin is released. When the high levels of insulin are released it moves a whole lot of sugar out of the blood stream. That’s when your child will feel the crash in their energy. Unluckily for the teachers, this will coincide with the start of lessons for the day! It’s also unlucky for their brain. Brains need a constant supply of glucose, not high one minute and low the next. 20% of the body’s glucose is used by the brain, so if sugar metabolism isn’t working well, your brain is not working well. Dips in blood sugar will lead to poor attention, poor memory and aggression. The second way sugar impacts behaviour is to do with its effect on neurotransmitters. Neurotransmitters are responsible for sending messages in the brain, and if they are out of balance then the brain can’t work properly. 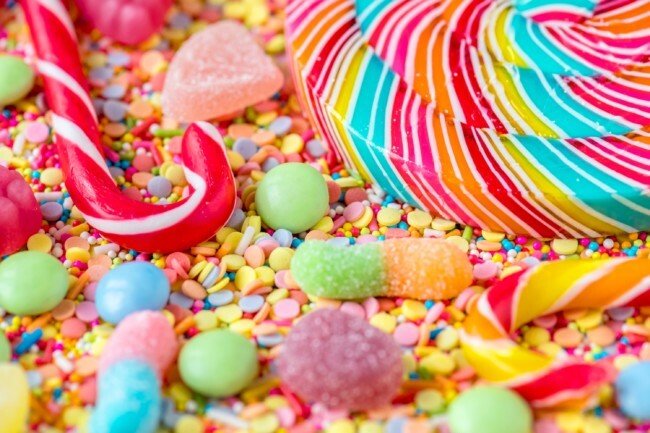 One way that eating a diet high in sugar can lead to issues like ADHD is because sugar increase levels of the neurotransmitter dopamine in the child’s brain. This leads to feelings of reward and pleasure. Obviously, this is a good feeling, and the child will want more sugar to keep this feeling. Eating sugar over and over starts to blunt this dopamine response, so more sugar is required for the same feeling. Eventually, the dopamine receptors burn out, and the result is the classic symptoms of ADHD: inattentive, distractible, disorganised, hyperactive, restless and impulsive. Eating excess sugar will also make the body use its B vitamins more quickly, and B vitamins are required to make neurotransmitters. Excess sugar in the diet is linked to aggression, anxiety, hyperactivity, ADHD, depression, eating disorders, fatigue and learning difficulties. Don’t give your kids Gatorade or other sports drinks, or jelly snakes after activity. A banana will do just fine! If all of this sounds great in theory, but if you need help putting it into practice, join my online program: Create Cool, Calm and Cooperative kids. It is full of useful coaching videos, recipes and handouts to help you on your journey. How does our gut affect our brain? When I work with families on their children’s health, I always work with the gut-brain connection and bring in the link to the immune system too. The connection is so vital between the gut and the brain, that really, it is easier to consider them as the same organ! The gut includes everything from mouth to bottom, and also the liver. The brain also includes the central nervous system. When any of the brain, the gut or the immune system are disrupted, this can cause issues elsewhere. You really have to remember that children are not just miniature adults. Their gut, brain and immune system are still developing, and more sensitive. Until children are two years old, their blood-brain barrier hasn’t formed properly and is easily damaged. Children’s guts are also not mature and can be leaky, and their livers might not be at full speed for detoxification. That’s why we should make sure our kids eat only organic food and don’t get exposed to toxins like cleaning products or cosmetics. And lastly, children’s immune system is not fully mature until they are two. If the gut is out of whack, the immune system is out of whack and the brain is out of whack. If the immune system is out of whack, then so is the brain and the gut. And if the brain is out of whack, so are the immune system and the gut. Think of a time when you were really anxious about a performance or a test, and got diarrhoea! That’s an example of the brain effecting the gut. If there are too many toxins to be processed by the liver, this causes inflammation, which will affect the brain. Heavy metals such as lead, mercury or cadmium will cause inflammation in a big way. 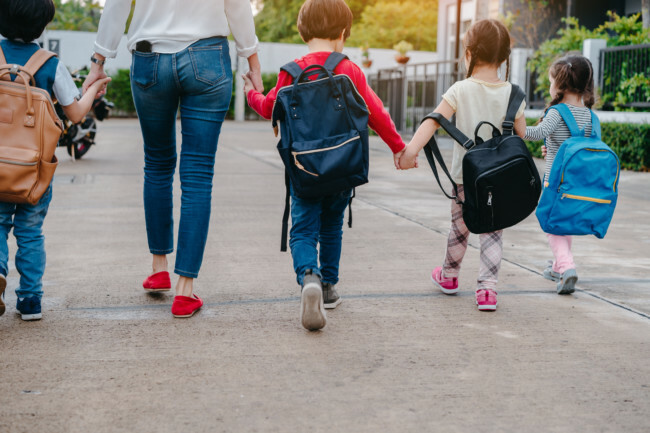 Having gut flora (bacteria) which is out of balance will affect a child’s nervous system, and changing the gut flora can improve behaviour and brain biochemistry. That’s why I often use probiotics as one of the first treatments for anything to do with behaviour or mood. There are lots and lots of type of probiotics though, and only a few have evidence to say they work for mood. If you just pick one up off the shelf and don’t see a difference, it’s because it is the wrong type of bacteria. This explains why I recommend at least five serves of veggies every day for children. Its the veggies that feed the gut bacteria. So if you take a probiotic, but still have a diet of processed food, you won’t get the same benefit as if you eat lots of veggies. 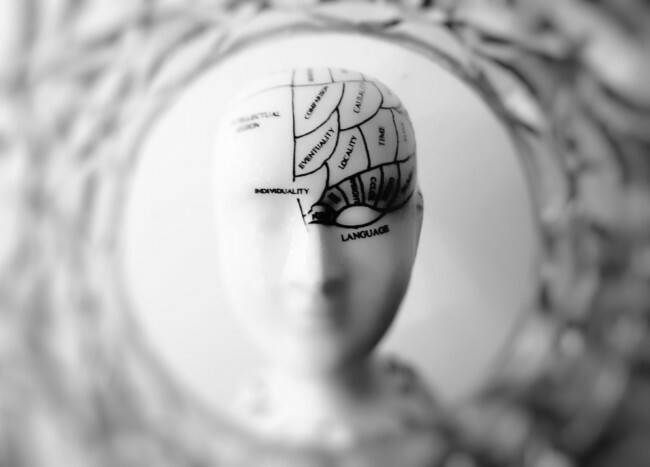 So what is the connection between the gut and the brain? There are neural pathways linking the gut and the brain. There are 100 billion neurons in your brain. There are 500 million neurons in your gut! These are connected to your brain through your nervous system. The biggest nerve connecting the gut and the brain is the vagus nerve. Think of this as the LAN cable, your body isn’t on WiFi yet, and there is an actual cable connecting your brain and your gut. It takes messages from the brain to the gut, and also from the gut to the brain! There are lots of things you can do to improve how your vagal nerve works (singing and humming being a few of them). Improving gut health (like with vegetables and fermented foods) helps the vagus nerve transmit messages to the brain better. As well as nerves carrying messages, body chemicals called neurotransmitters also take messages from the brain to the gut and vice versa. Neurotransmitters are chemicals that affect feelings, emotions and sleep. One of the best-known neurotransmitters is serotonin, the happy neurotransmitter which also helps you sleep. Many of these neurotransmitters are made in the gut by your own body and also by the gut bacteria. So the happy neurotransmitter serotonin is partly made in the gut. If your gut isn’t happy, you won’t be happy! Other neurotransmitters produced in the gut alter emotions like fear and anxiety. 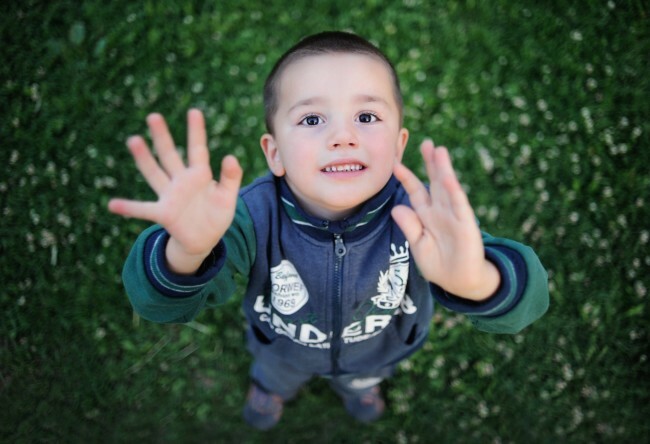 A neurotransmitter important in ADHD is dopamine, which can be low in children with ADHD. If a child is anxious or having difficulty sleeping, this will affect their digestions, as neurotransmitter levels are different. The fundamental factor that you have to look at first is diet. Diet has the biggest impact on gut health. That’s exactly why I developed my 6 week coaching program, to guide parents on the journey from a highly processed diet to a real, whole food diet. By doing this, you can improve your gut health and improve your brain health. Get started today by clicking here. If you’re not quite ready to do the program, but would like to get an idea of what to feed your kids to improve their gut health, click here. You can arrange a time to have a chat with me, and I will plan out 3 weeks of meals for you and your family. I take into account everything about your situation, and develop a meal plan that will work for you. And if you just want a quick chat to understand how I can help your family, click here. There are so many ways changing diet can help with behaviour issues, or even with diagnosed ADHD. In this article, I am going to focus on conditions that mimic ADHD, and give you an understanding of how some diet and lifestyle interventions can resolve ADHD-like symptoms. A 2014 study of more than 1200 children between the ages of 5 and 18 looked at the levels of nutrients in the children’s blood. Half the children had ADHD, half didn’t. There was a statistically significant difference in the children with ADHD compared to the children without ADHD for serum iron, ferritin and haemoglobin. These are all measures of a child’s iron status. So already, you can see how nutrition can affect ADHD like symptoms. Many children are iron deficient simply because they don’t eat enough iron-containing foods like red meat. In the short term, they may need a supplement, but never ever give a child an iron supplement without a blood test and without working with a practitioner. Other children have leaky guts so they don’t absorb their iron as well as they should, so a nutritionist can put together a plan to heal the leaky gut, and therefore improve absorption. 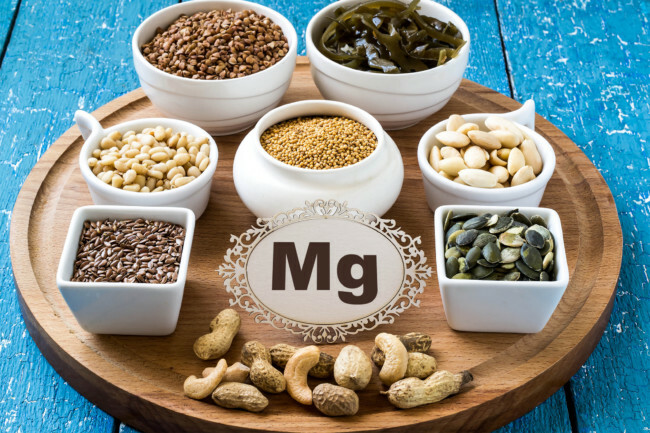 Magnesium deficiency is a big issue in Australia, for adults and children. We are deficient because we are not eating enough green leafy vegetables, and also because our soils are quite depleted of minerals. A 2006 study involving 40 children who had ADHD symptoms were given magnesium (plus vitamin B6) for 8 weeks. Their ADHD symptoms of hyperactivity, aggressiveness and lack of attention were scored over the 8 weeks. By the end of the 8 weeks, hyperactivity and aggressiveness were reduced, and attention at school improved. When the supplements were stopped, the symptoms came back! Supplements are great to look at in clinical studies like this, as it is easy to monitor how much of a vitamin and mineral a child is taking. But in real life, nutrients should come through food, and by improving a child’s diet, you don’t have to rely on supplements forever. In 2004, 400 children with diagnosed ADHD were split into two groups. Half were given zinc supplements, the other half were given a placebo. At the end of 12 weeks, tests were conducted that showed that the zinc was better than placebo at reducing hyperactive, impulsive and impaired socialisation symptoms. Zinc can be lacking in a child with a restrictive diet, and being low in zinc affects children’s sense of taste so they get even more restricted! With zinc, it is also really important to get a blood test to check levels, as if you give zinc to someone, it can throw other minerals out of balance. 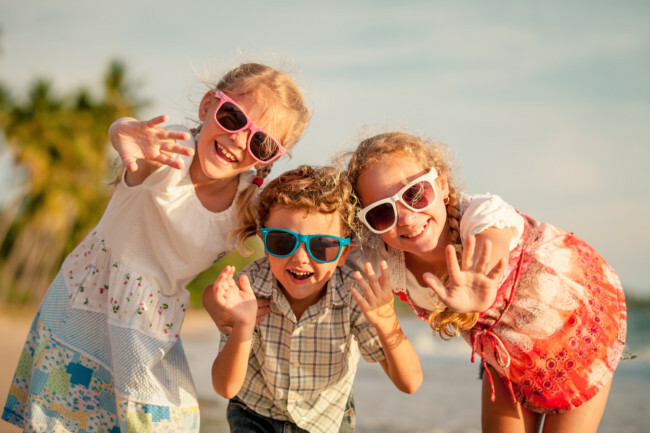 We have become so sun-safe that lots of kids are vitamin D deficient. The best bits of your body to convert the sun’s rays into vitamin D is belly and bottom, so let your kids have a little nudie time in the backyard! We have also shied away from lots of foods that used to provide vitamin D in our diet, like fatty fish and liver. In 2012, 37 children with ADHD and 37 children without ADHD were tested for vitamin D levels. The children with ADHD had significantly lower levels of vitamin D in their blood than the children without ADHD. Again, get this checked, and get your kids bellies out in the sun for short periods!! These are fats that are found in fish, nuts and seeds. They are really important for brain health and lots of other issues. A small trial of 13 primary school-age children with autism and severe tantrums, aggression or self-injurious behaviour took place in 2007. After 6 weeks, the children who took an omega 3 supplements had less hyperactivity than the children who took the placebo. Don’t be fooled by the omega 3 gummies on the shelf. The amount of omega 3 in these is ridiculously low, and you will never see a change in your kid’s behaviour. You have to invest in a high quality, high dose supplement from a practitioner. It’s sad to say that even today, with all we know about lead toxicity, lots of children are still exposed to it. Mining communities have a big issue, and some parts of Australia routinely test children for lead. Outside of mining areas, one of the biggest sources of lead that children are likely to be exposed to is house paint. Lead isn’t allowed to be in paint any more, but have you ever lived through renovations? As the walls come down and the paint comes off, the lead is exposed. Cheap imported toys will often be a source of lead, and children of course chew on their toys. I do hair mineral analysis on kids that display symptoms of lead poisoning, or when I talk to parents and there are ways that the child could have been exposed to lead. If there is lead, it is then a slow process to remove the lead from the child. One very gentle way to do this is by using lots of herbs in the child’s food, like coriander and parsley. A US study looked a blood-lead concentrations in children with ADHD. The conclusion was that lead exposure is responsible for nearly 300,000 cases of ADHD in US children. Mercury can get into our children through dental amalgams (unbelievably some dentist still use mercury amalgams!) and some fish. The term “mad as a hatter” comes from a time when people who made hats used mercury in the process, and it eventually had an impact on their mental health. In a 2012 study mercury was associated with inattention and impulsivity/hyperactivity. The study also showed that fish intake was protective against ADHD! So the message is to eat fish, but only the low mercury type (like salmon or sardines). We used to think mould was unsightly and a bit stinky, but now we realise the enormous impact mould exposure has on our health. When Polish researchers tested 277 children for IQ and inspected their homes for mould, they found that long-term exposure to mould led to lower IQs. This study looked a visible mould, but you can’t always see it. If you are renting a mouldy home, see if you can move. If you own your house and you know there has been some water damage or poor ventilation, get a proper assessment and take steps to remove the mould. Food allergies can affect children in all sorts of weird and wonderful ways. One of the less well-known ways is behaviour (and sleep, which indirectly affects behaviour). Studies suggest that putting children on a diet excluding common allergens (milk, chocolate, soy, eggs, wheat, corn and legumes) can improve behaviour. To find out what your child is sensitive to, I can organise a blood test for them, or I can put them on an elimination diet for a few weeks, then reintroduce the foods one at a time. Parents never want their child to be the one that can’t eat whatever they want, but it’s time for parents to have resilience and see the bigger picture! The impact of breakfasts of different glycaemic loads on the performance of nineteen children, aged six to seven years has been looked at. The glycaemic index of a meal reflects how quickly it makes your blood sugar rise. High glycaemic load meals will make your blood sugar go high really fast, then plummet really fast. Over a four week period, children attended a school breakfast club each day and ate one of three meals. Each meal offered a similar amount of energy but differed in their glycaemic load. The children’s behaviour, attention and memory were assessed in the classroom. Two to three hours after a low glycaemic load breakfast had been consumed, memory and attention were better. There were fewer signs of frustration and focus was better. The easiest way to eat a low glycaemic load diet is to eat real, whole foods, which are slower to digest. Have you had your child assessed for all these things? When you work with me on my 6-week coaching program, we work through all these factors. 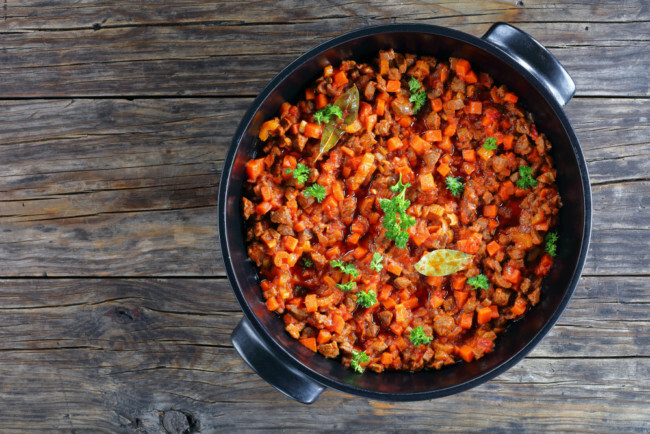 All recipes are nutrient dense, and low glycaemic load. We cover all the factors in your home which can be contributing to toxicity and affecting sleep too. The program consists of 6 modules of online training, and 6 private sessions with me, to help get your child’s health back on track. Get started here. If you would like a meal plan for your family to help get all these important nutrients in to them, make an appointment here. I develop 21 day meal plans for families to help them manage food allergies, likes, dislikes, cooking ability and available time. The meal plans include recipes, shopping list, and even a food prep guide!! Or if you just want to have a quick FREE chat to see how I can help your family, click here. This frittata contains tinned salmon which is a great source of calcium, because of the bones. It is also a source of omega 3 which is a great brain nutrient. Tinned salmon is easier to find from a wild caught source than fresh salmon, which is generally farmed. Boil potatoes until almost tender. Cook onion and garlic in frying pan with some olive oil. 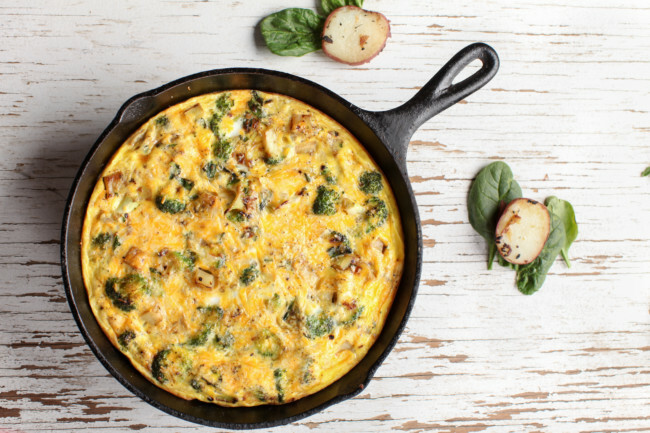 Combine the potato and onion mixture in a large bowl with the broccoli, salmon, egg, egg white and parsley. Reheat same frying pan, and add more oil. Spoon mixture into pan, press down firmly . Cook uncovered over low heat until almost set. Place under grill until the top of the frittata is set and slightly browned. Place in stainless steel lunch box. Get the uniforms ready, check for mouldy lunch boxes in the school bags, and brush everyone’s hair – it’s time to go back to school. The start of a new term is a good time to start some new habits. Improving behaviour and mood is a great motivator to make some changes to the routine, so here are my top 5 habits to implement. Go to school on an egg or paleo bread. Ditch the Weetbix or toast. These foods are highly inflammatory, high glycemic index, and lacking in nutrients. Eggs, on the other hand are a good source of fat and protein, high in choline (a nutrient needed to produce acetylcholine, an important neurotransmitter for memory, mood, muscle control, and other brain and nervous system functions). Include two veggies in the lunch box. The closer a diet is to a Mediterranean diet, the less their chance of developing ADHD. Mediterranean diets are high in fresh, seasonal fruit and veggies. Primary school aged children need 5 serves of vegetables a day. If you try to get all 5 serves into dinner, you will never get there. By having one serve at munch and crunch, and one serve at lunch, you might just get to the 5 serves. As well as containing lots of important nutrients, and being low glycemic index, they also displace less nutritious food from the lunchbox. Mix it up and try different veggies until you find ones your child will eat. You can have traditional crudité types like carrots, cucumber or capsicum. Or try leftover cooked veggies from the night before – some broccoli which has been roasted with bacon, or sweet potato chips. Don’t give up if they come home for the first few days, new habits take time! No devices at the dinner table. School holidays (especially wet ones!) can involve lots of iPad and TV. They might even creep up to the dinner table, even if they don’t usually. So starting from Monday, put them away again! Screen time has a bad effect on children’s behaviour, and they will already have spent time in front of a screen at school. Dinner is a time to socialise, talk about how everyone’s day went, and enjoy a shared meal. Children who eat dinner together with their parents have better vocabularies. Of course, it is not always possible to get the whole family together every evening, so just make an effort to achieve it at least a few times a week. ADHD has been called nature deficit syndrome, so get the kids out for an hour every day. Prisoners get more outdoor time than school kids do! It a great chance for parents to de-stress and get some exercise too. Adults should be getting 10,000 steps day (your iPhone measures this for you!). So grab the bikes or scooters and get the kids out for an hour of exercise. They will eat their dinner quicker and sleep better. Fermented foods have a really positive effect on our gut health, and our brain health is directly related to our gut health. I see such positive results in improving behaviour and anxiety when children start to eat fermented foods. There are lots to choose from, you can ferment most things (even fish!). One of the easiest ones is sauerkraut juice. Once you have made it, just include it in foods and dressings (don’t heat it). My other favourite is milk kefir, for children who tolerate dairy. Children who can’t have dairy can have coconut or water kefir instead. It may be very daunting to start fermenting, and you may have a few fails, but just have a go. Before we had fridges, fermenting was how we preserved vegetables. People didn’t know about different bacterial strains, or the effect on their gut health. It was just a tradition and a way of life. Is yoghurt good for you? Yoghurt is a traditional food which has been enjoyed for thousands of years. It is made by fermenting milk, with certain bacteria or ‘cultures’. Fermenting the milk changes the sugar in the milk, the lactose, into lactic acid. Plain yoghurt will have a tart or sharp taste because of the lactic acid. Yoghurt made in this traditional way has lots of benefits. As with any fermented food, you are eating bacteria which is great for your gut health. Milk is much easier to digest once it has been fermented, so even people who are lactose intolerant might be able to consume it. The traditional method of yoghurt making can be easily replicated at home. You just need a starter. This can be either some yoghurt (which you might have to buy), or some probiotics. To incubate the yoghurt, you can use an electric yoghurt maker, a thermos flask style yoghurt maker, or an oven with just the light turned on. It takes 24 hours fermentation to digest all the lactose. 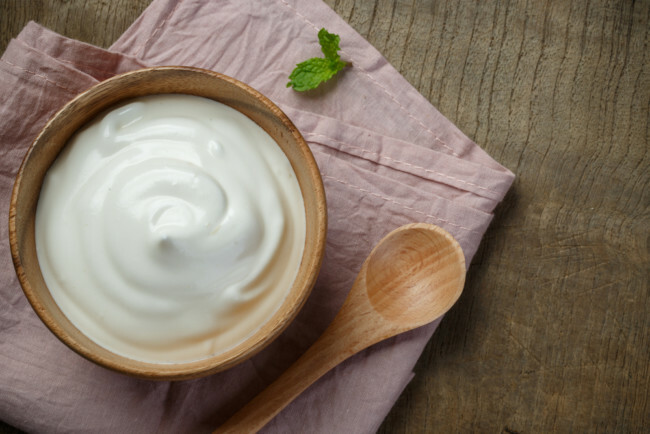 If you are buying yoghurt, you need to read the ingredients carefully, as some yoghurts are very far removed from traditional yoghurt. The best choice is a yoghurt with a very short ingredient list, preferably made from organic milk. These will often be in a larger tub, such as a 1kg container. The ingredient list should have full fat milk, cultures and very little else. There may be added milk powder which can be used to get a consistent product no matter what season (cow’s milk is a natural product and changes with seasons). Buying 1kg tub is also much cheaper and creates less plastic waste than buying smaller containers. Squeezy yoghurts are super popular with kids, and a super expensive way to buy yogurt. This is the section of the fridge where you will find lots of food like substances masquerading as yoghurt. Taking a squeezy yoghurt to school is convenient, but make sure it is a healthy choice. Don’t rely on food in pouches too much as it doesn’t promote normal eating habits and jaw development. My favourite ‘squeezy’ style yoghurt is Vaalia yoghurt with 3x the probiotic. The probiotic in this yoghurt is Lactobacillus rhamnosus LGG. This probiotic is great for reducing allergies in kids and improving gut health. This is not a perfect choice however, as sugar is the 4th thing on the ingredient list, and it also contains rice starch, acidity regulators, natural flavours and gelatin. Another reasonable choice is Rafferty’s garden plain yoghurt with no added sugar. It literally contains milk, milk solids, cream and cultures. The pouch size is tiny though, only 70g, so this really only is for very little kids. It also costs about three times the price per kilo, compared to buying a 1kg pot. Watch out for outlandish claims also. One Petit Miam squeezy yoghurt says on the front ‘with real fruit and veg and the goodness of milk’. Let’s examine this claim! It contains 4% beetroot. The pouch weighs 70g. 4% of 70g is 2.8g. Bear in mind a serve of vegetables is about 75g. This yoghurt contains 3% of a serve of vegetables!! In a large pan, add the oil, chopped onions and garlic. Cook on medium heat until the onions are soft, stirring frequently. Add the spices and cook until fragrant. 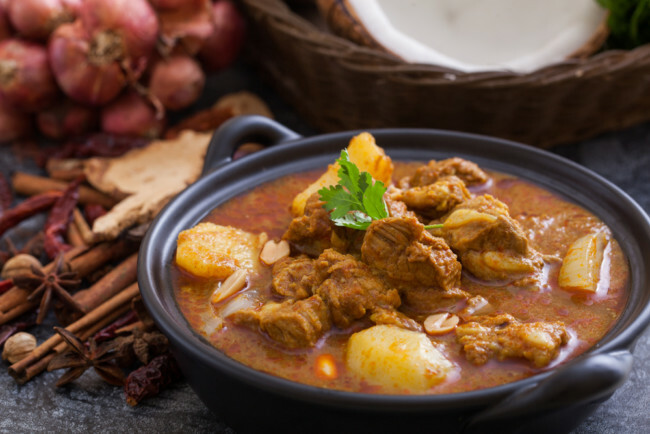 Place the meat, spice and onion mixture, tamarind concentrate, coconut milk, and potatoes into the slow cooker. Heat the oil in a large pan. Add the onion and garlic, stirring for about 5 minutes, or until the onions are soft. Add the lamb, cinnamon and cumin. Break up the lumps in the lamb with a wooden spoon. Cook until browned. Add the tinned tomatoes, tomato paste, chicken stock and sweet potatoes.